It took just a moment to cleave India in two. At midnight between 14 and 15 August 1947, the country of Pakistan was born and India was liberated from British rule. In the months leading to the end of the British Raj, one of the world’s largest migrations occurred. Fourteen million people were displaced, leading to acts of mass violence, turning Hindu, Muslim and Sikh against one another. On the morning of the 15th, Saadat Hasan Manto looked on with horror as communal violence erupted on the streets of his adopted home city, then known as Bombay. A journalist and short story author, he had just been fired from his job as a screenwriter at the Bombay Talkies film studio for being a Muslim. Fearing for his family’s safety, he had little choice but to flee the city, finding refuge in Lahore, Pakistan. By 1955 he was dead, aged 42, due to alcoholism. He had never returned to the city he loved. Read the first part of the series about the petition of 356 officers and soldiers here. On September 10, the unprecedented petition of 356 officers and soldiers against the dilution of the Armed Forces Special Powers Act (AFSPA), without specific amendment to that effect—and the perceived prosecution and persecution by the CBI for alleged human rights violations—will come up for hearing before the Supreme Court. Ironically, this is exactly 60 years after the AFSPA was enacted on September 11, 1958. In 1917, Rabindranath Tagore came out with a booklet on nationalism. It was a collection of three articles and a poem. Two of these, ‘Nationalism in the West’ and ‘Nationalism in Japan’, were lectures delivered in the USA in 1916-17 and in Japan in 1916 respectively. The third piece, ‘Nationalism in India’, was written in late 1916. Of course, Tagore’s position vis-à-vis nationalism goes far beyond the scope of these three essays and permeates almost the entire corpus of his significant writings—starting from his novels to his debate with Gandhi on nationalism. 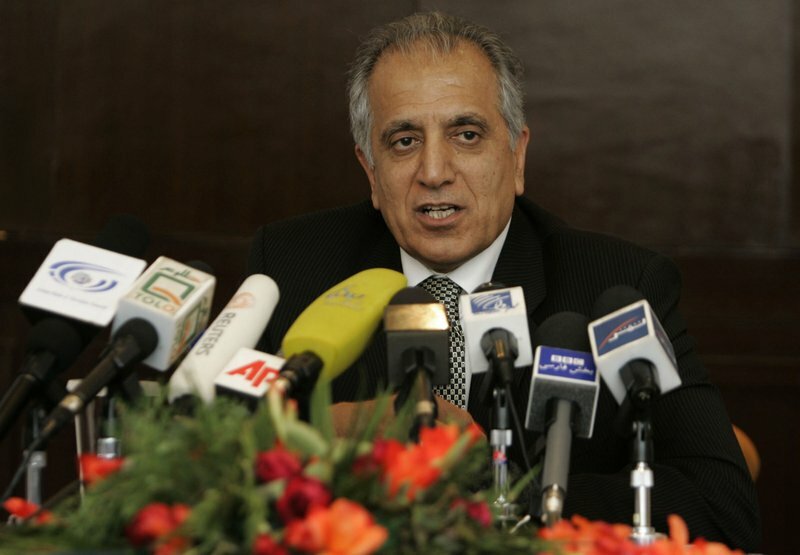 ISLAMABAD (AP) — The choice of Zalmay Khalilzad as a U.S. special envoy to Afghanistan has raised some hackles in the region, with many saying the veteran diplomat’s tough stance on Pakistan could hinder his mission to convince a resurgent Taliban to engage in peace talks. In the past, Khalilzad has called on the U.S. to declare Pakistan a terrorist state, saying it harbors insurgents. The Trump administration has embraced a similar position, recently suspending $300 million in aid to Pakistan, saying it isn’t doing enough to eliminate Taliban safe havens on its territory. ISLAMABAD, Pakistan — Concerned about Pakistan’s international isolation and faltering economy, the country’s powerful military has quietly reached out to its archrival India about resuming peace talks, but the response was tepid, according to Western diplomats and a senior Pakistani official. The outreach, initiated by the army’s top commander, Gen. Qamar Javed Bajwa, began months before Pakistan’s national elections. Pakistan offered to resume on-and-off talks with India over their border dispute in the Kashmir region, which stalled in 2015 as violence flared up there. Before the Taliban announced Tuesday that he was dead; before, in fact, he was reported dead in 2015; and indeed before he waged violent attacks against the U.S. and its allies inside Afghanistan, Jalaluddin Haqqani was a U.S. ally in the fight against the Soviets in Afghanistan. George Crile in his book Charlie Wilson’s War quoted the Democratic congressman from Texas who championed the anti-Soviet fighters in Washington as calling Haqqani “goodness personified.” (Reports that he visited President Reagan’s White House are based on an erroneous identification of Mohammad Yunus Khalis, another mujahedin fighter who also later turned on the U.S.) A rancorous debate in the U.S. at the time over how and whether to support the anti-Soviet insurgency in Afghanistan ultimately was settled in favor of backing the mujahedin, the Islamist guerrilla fighters. Haqqani was among 10 mujahedin commanders who received funds directly from the CIA; money to others was funneled through Pakistan. The Chinese People's Liberation Army Air Force (PLAAF) aired for the first time on Tuesday a new 3-minute promotional video that showcases China's most sophisticated and deadliest aircraft as part of China's military modernization. The video was released in-time of the PLAAF's Aviation Open Day held in Jilin, a province located at northeastern China. Titled as "Safeguarding the New Era," the video features PLAAF's newest war aircraft and shows footages of PLAAF's aerial training exercises. The video emphasizes how the Chinese military prepares itself for the new era of warfare. The answer seems to be affirmative, based on a new Pentagon report released recently. The report — submitted to Congress by the Department of Defence and titled Military and Security Developments Involving the People's Republic of China — provides new insights into China's military restructuring and more aggressive posture in the Indo-Pacific region. Given its importance, all countries in the region ought to take notice. Predictably, some of the coverage in the American media has been breathless — seemingly surprised at the idea that America's great rival is training for a military conflict with it. 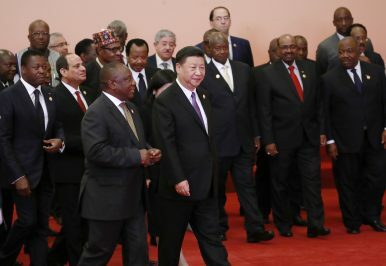 The Forum on China-Africa Cooperation (FOCAC) concluded its third summit meeting in Beijing on Tuesday. The vast majority of Africa’s 55 countries sent their top leaders to join Chinese President Xi Jinping in Beijing, leaving “the continent … almost bereft of presidents,” as africanews put it (the same article also has a handy list of the leaders who did not make the trip – all six of them). The near-universal attendance is a feather in China’s cap. Xi made a special point of welcoming three new members to this year’s FOCAC summit: the Gambia, Sao Tome and Principe, and Burkina Faso. All three had severed ties with Taiwan and established diplomatic relations with China since the 2015 summit – leaving eSwatini (formerly Swaziland) as the lone African countrystill recognizing Taiwan. China’s aggressive efforts to position itself as a global leader recently came under challenge at the UN Committee on the Elimination of Racial Discrimination (CERD), the global watch dog on racial discrimination. CERD expressed serious concern over China’s mass internment of ethnic Uyghur’s and restrictions on their religious freedoms, terming these measures as a ‘violation’ of the Universal Declaration of Human Rights. It is a rare phenomenon for a permanent member of the Security Council to be indicted in this manner. Crazy Poor Middle Easterners The Middle East could prosper if it would put its past behind it. I greatly enjoyed the movie “Crazy Rich Asians” because, beyond the many laugh lines, it reminded me of an important point: Rich Asia has gotten really rich — not because it doesn’t have political, tribal, ethnic and religious differences like other regions, but because in more places on more days it learned to set those differences aside and focus on building the real foundations of sustainable wealth: education, trade, infrastructure, human capital and, in the most successful places, the rule of law. Most of Asia became prosperous not by discovering natural resources but by tapping its human resources — men and women — and giving them the tools to realize their potential. A Syrian man rides a motorcycle past a destroyed building in an area that was hit by a reported airstrike in the district of Jisr al-Shughur in the Idlib province on Tuesday. After a monthslong stretch of merely sporadic violence and simmering tensions, the Middle East seems on the verge of another fiery eruption, and there are no outside powers with the interest or leverage to douse the flames. The smoke is starting to billow from three well-worn hot spots. First, there is Idlib province in northern Syria, on the Turkish border, home to 3 million civilians—half of them refugees displaced by war from other parts of the country—and roughly 70,000 anti-regime rebels, many of them jihadis. Syrian President Bashar al-Assad has vowed to wipe out all anti-regime forces in air and ground campaigns that will unavoidably kill thousands of civilians, a fact that hasn’t bothered him in previous assaults. His allies, the Russians and Iranians, say they will help, and in fact the bombing has begun. The military balance between Iran, its Arab neighbors, and the United States has been a critical military issue in the Middle East since at least the rise of Nasser in the 1950s. Iran, Iraq, and the other Gulf states have been the scene of a major arms race since the mid-1950s. The fall of the Shah of Iran in 1979 and rise of Khomeini helped trigger a major war between Iran and Iraq that lasted from 1980 to 1988, and came to involve every Gulf state and the U.S. The economic impact of the war helped trigger the Iraqi invasion of Kuwait and a subsequent war to liberate Kuwait in 1990-1991. Its aftermath then led to the U.S. led invasion of Iraq in 2003, the rise of violent Islamist extremism, and ongoing struggle against ISIS. Andy Ngo, a talented up-and-coming young writer from the “anti-PC liberal” camp, has found himself in hot water over a provocative Wall Street Journal op-ed titled “A Visit to Islamic England.” The article has been called“ridiculous,” “silly,” “cowardly” and racist,” and the reaction on Twitter has been what you’d expect. The backlash to the article has been nasty and extreme, accusing Ngo of racism and bulldozing over some points that are worth considering. However, there is no question that the article was seriously flawed — and is an object lesson in the pitfalls of writing about Islam and Muslims in Western societies. The GRU may have been founded during the Russian Civil War a century ago, but today it has found favour with Vladimir Putin as the perfect organisation to carry out his 21st century military tactics. As we have seen in Ukraine, the US and in Salisbury, Russia is turning away from conventional displays of force and towards what has been dubbed ‘non-linear warfare’. This uses a combination of covert special-forces operations, spying, cyber attacks and internet trolls to destabilise enemy nations. Because Russia always stops short of outright aggression, the West has struggled to come up with an effective response to this provocation. I am writing this from Budapest, where Corvinus University has been kind enough to invite me to be a distinguished international fellow. (Having been a university instructor decades ago, I can confidently say being a distinguished international fellow is much nicer.) Since arriving in Budapest, I have been repeatedly asked why the United States is disengaging from the world. I have heard this said by some Americans as well, but my response is always the same: The United States continues to be deeply engaged in the world, and the myth of disengagement derives from American rhetoric and not American actions. “Why the Hell Are We Standing Down?” The secret story of Obama’s response to Putin’s attack on the 2016 election. This is the second of two excerpts adapted from Russian Roulette: The Inside Story of Putin’s War on America and the Election of Donald Trump (Twelve Books), by Michael Isikoff, chief investigative correspondent for Yahoo News, and David Corn, Washington bureau chief of Mother Jones. The book will be released on March 13. CIA Director John Brennan was angry. On August 4, 2016, he was on the phone with Alexander Bortnikov, the head of Russia’s FSB, the security service that succeeded the KGB. It was one of the regularly scheduled calls between the two men, with the main subject once more the horrific civil war in Syria. By this point, Brennan had had it with the Russian spy chief. For the past few years, Brennan’s pleas for help in defusing the Syrian crisis had gone nowhere. And after they finished discussing Syria—again with no progress—Brennan addressed two other issues, not on the official agenda. 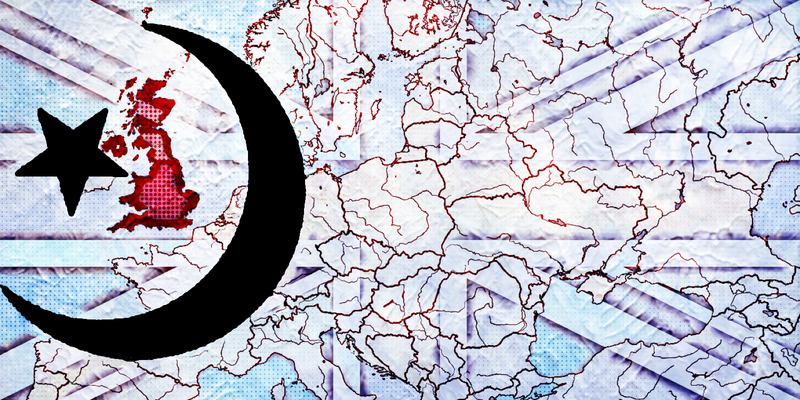 Regulate to Liberate Can Europe Save the Internet? Washington may unveil tariffs on vehicles and automotive parts in the next few months that could have broad repercussions for Japan's massive automotive sector. The United States has long been pushing Japan to enter bilateral talks toward a trade agreement, while Japan has been pushing for the United States to reconsider the Comprehensive and Progressive Trans-Pacific Partnership (CPTPP). The tariff threat may change Japan's opposition. However, Japan does have some insulation from the tariff pressure given that much of its manufacturing for the U.S. market takes place in the United States itself and Tokyo has had recent success breaking down barriers to the EU, Chinese and CPTPP markets. United States President Donald Trump’s incendiary August 22 tweet, contending that white farmers are being killed on a “large scale” in South Africa and that farms and other lands are being expropriated, has become part of his well-known toolkit for boosting appeal among his political base while sowing racial discord at home and abroad. Appropriately, South African President Cyril Ramaphosa hit back at Trump within hours of the tweet, in a clear and forceful message in the Financial Times. The essence of Ramaphosa’s statement is that South Africa is a profoundly unequal society and the distribution of land is at the heart of that inequality, along with education, income, jobs, and skills. As president of South Africa, Ramaphosa has pledged to address this inequality resulting from land dispossession during the colonial and Apartheid eras. In light of the attention on South Africa’s land distribution issue, it is important to present the facts. "September and October of 2008 was the worst financial crisis in global history, including the Great Depression.” Ben Bernanke, then the chair of the U.S. Federal Reserve, made this remarkable claim in November 2009, just one year after the meltdown. Looking back today, a decade after the crisis, there is every reason to agree with Bernanke’s assessment: 2008 should serve as a warning of the scale and speed with which global financial crises can unfold in the twenty-first century. COLOGNE, Germany – Germany is one step closer to getting its own version of a Defense Advanced Research Projects Agency, as officials here seek to bolster the country's cybersecurity posture. 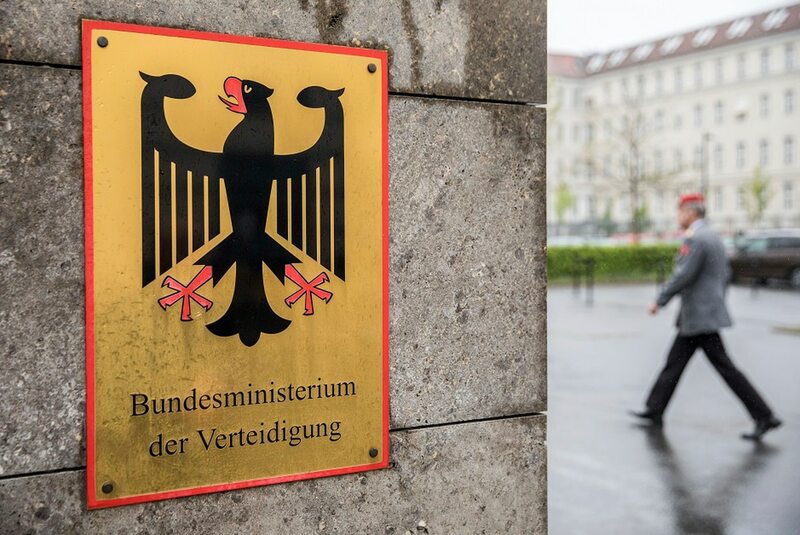 The Cabinet of Chancellor Angela Merkel this week approved the new organization, to be headed jointly by the Defense and Interior ministries. The outfit is slated to get a budget of €200 million ($230 million) between 2019 and 2022. The new “Agency for Innovation in Cybersecurity” will eventually have 100 employees. The German parliament, the Bundestag, will debate the proposal in the upcoming months. Once the funding is cleared, analysts will begin their work in earnest next year. When prompted to think about the way hackers will shape the future of great power war, we are wont to imagine grand catastrophes: F-35s grounded by onboard computer failures, Aegis BMD systems failing to launch seconds before Chinese missiles arrive, looks of shock at Space Command as American surveillance satellites start careening towards the Earth--stuff like that. This is the sort of thing that fills the opening chapters of Peter Singer and August Cole's Ghost Fleet. The catastrophes I always imagine, however, are a bit different than this. The hacking campaigns I envision would be low-key, localized, and fairly low-tech. A cyber-ops campaign does not need to disable key weapon systems to devastate the other side's war effort. 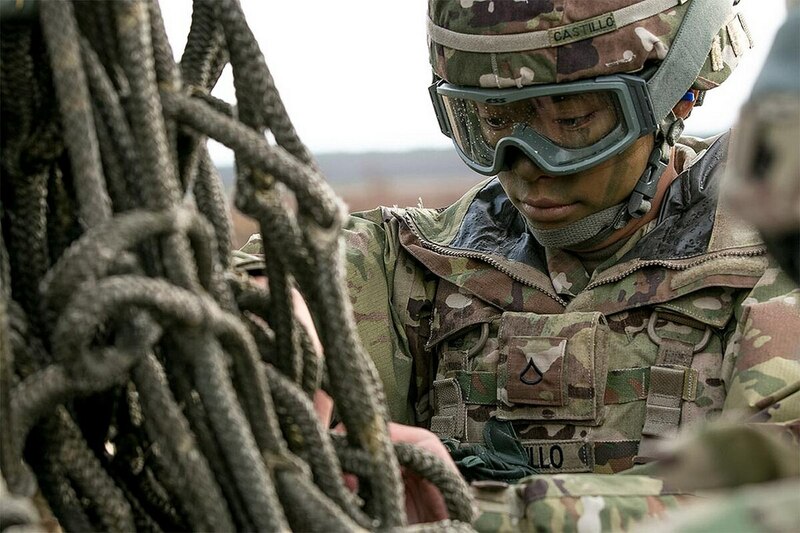 It will be enough to increase the fear and friction enemy leaders face to tip the balance of victory and defeat. Singer and company are not wrong to draw inspiration from technological change; nor are they wrong to attempt to imagine operations with few historical precedents. But that isn't my style. When asked to ponder the shape of cyber-war, my impulse is to look first at the kind of thing hackers are doing today and ask how these tactics might be applied in a time of war. The first text message showed up on Ahmed Mansoor’s phone at 9:38 on a sweltering August morning in 2016. “New secrets about torture of Emiratis in state prisons,” it read, somewhat cryptically, in Arabic. A hyperlink followed the words. Something about the number and the message, and a similar one he received the next day, seemed off to Mansoor, a well-known human rights activist in the United Arab Emirates. He resisted the impulse to click on the links. Astrophysicists deduce nearly everything we know of the contents and behavior of the universe from the analysis of light. Most of the cosmic objects and events we observe materialized long ago, and so their attenuated light arrives here on Earth after delays that stretch up to 13 billion years. Most of the objects of our affection lie forever out of reach and are, at best, barely visible from Earth. They don’t grow in a laboratory, they release stupendous energy, and they’re immune to manipulation. So astrophysicists have learned to be lateral thinkers, to come up with indirect solutions, never forgetting that we’re the passive party in a singularly one-sided relationship.